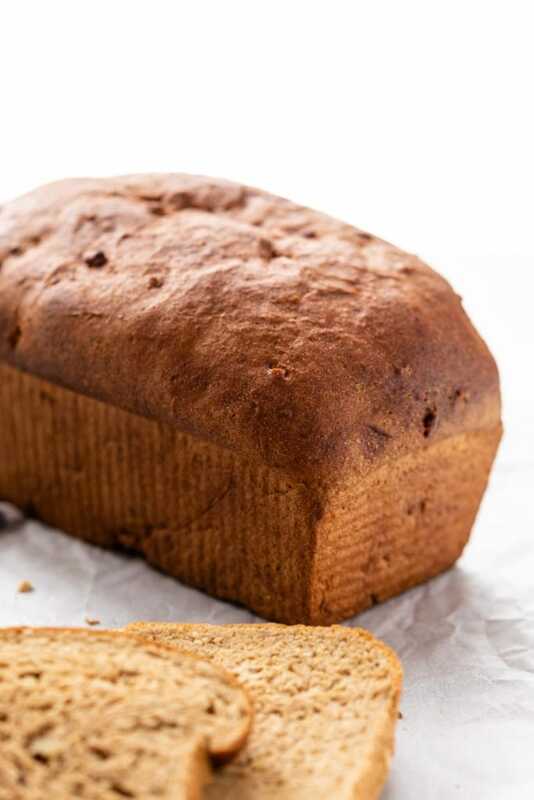 There is nothing like waking up, popping a big slice of homemade hearty grain bread in the toaster, and starting the day off right. 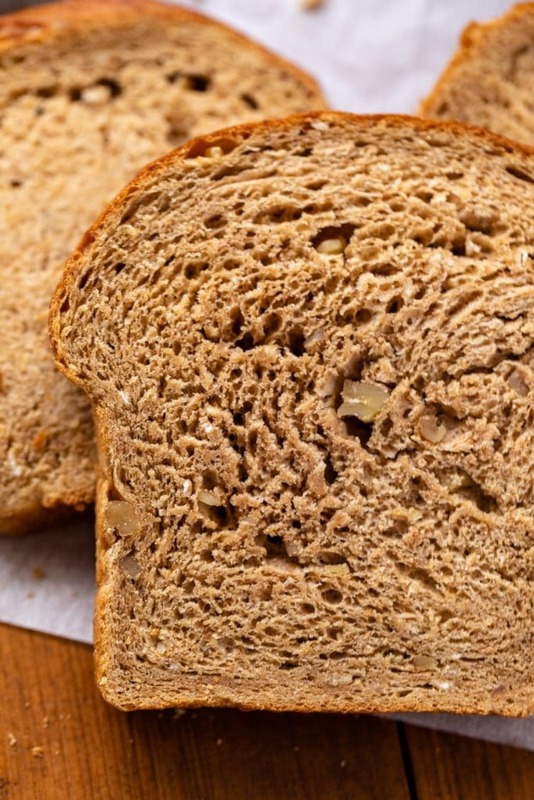 What is it about homemade bread? The texture, flavor, and appearance are the complete opposite from those varieties sold in pre-packaged bags at the grocery store. The smell alone that bread baking emits is a treat. And the thought of that puts me in the perfect mood to whip up my own loaf. Ok, I’ll admit: this does make my life sound a little boring. But I do find excitement in the most simple items. Maybe you’re like me, and the simple act of making homemade bread is uber satisfying. I mean, sure, baking is trendy again. Take a look at Instagram and you’ll see everyone rolling out artisan-style sourdough loaves and testing their own hand at creating the perfect crusty top. But what about the normal homey-style breads? You know what I mean: the ones made in an 8 ½ x 4 ½ inch loaf pan? You or your parents probably have at least one collecting dust somewhere. 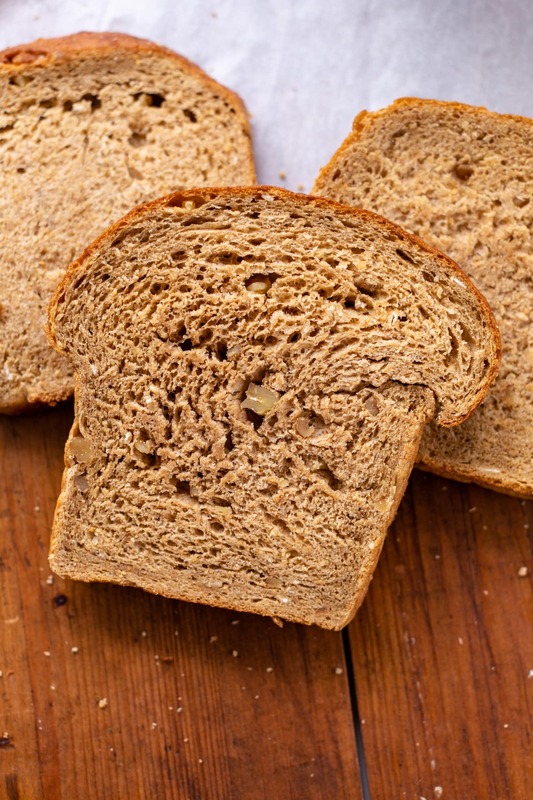 Enter my hearty grain bread recipe. This is definitely a step up from the honey oat bread I shared a few years ago. No, it’s not necessarily better, just heartier and well, more adult. If that honey oat bread is my comfort food, this hearty grain version is my spirit animal. 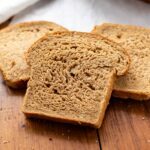 It delivers the perfect bread texture with whole wheat flour, chopped walnuts, oats and a slight sweetness from the added molasses. Bread sometimes seems overwhelming because of the idea of spending hours waiting for the dough to rise. I mean, who has the time? That’s why I only use instant active dry yeast. Instant yeast doesn’t need to be bloomed in water first because… it’s instant! 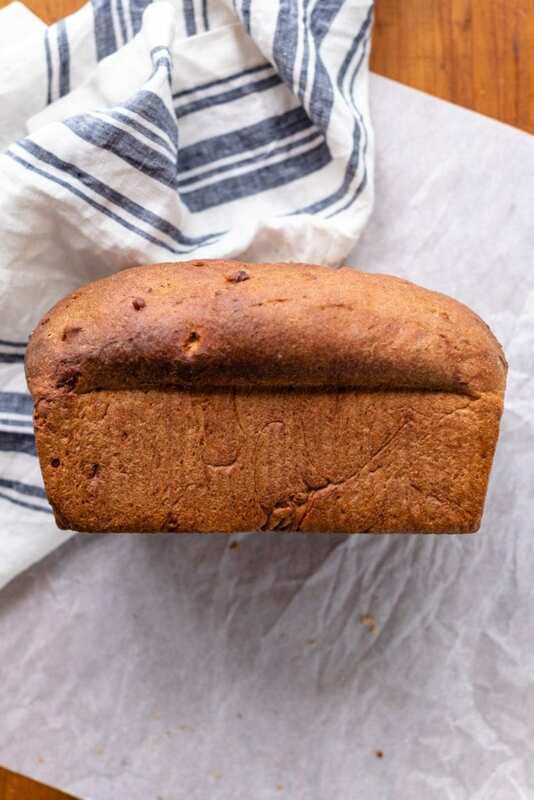 As this bread rises, it grows a large dome that turns a deep amber brown color. Sometimes the slices are so large they can hardly fit in a normal-sized toaster. I love this style of homemade bread. It’s not perfect looking. It doesn’t have designs on the top. But it has heart. The classic combination of salted butter with homemade jam. Mashed avocado with pepper and some (optional) sriracha. But is it really optional? You know you want a little spice. An egg fried right into the middle of the toast. 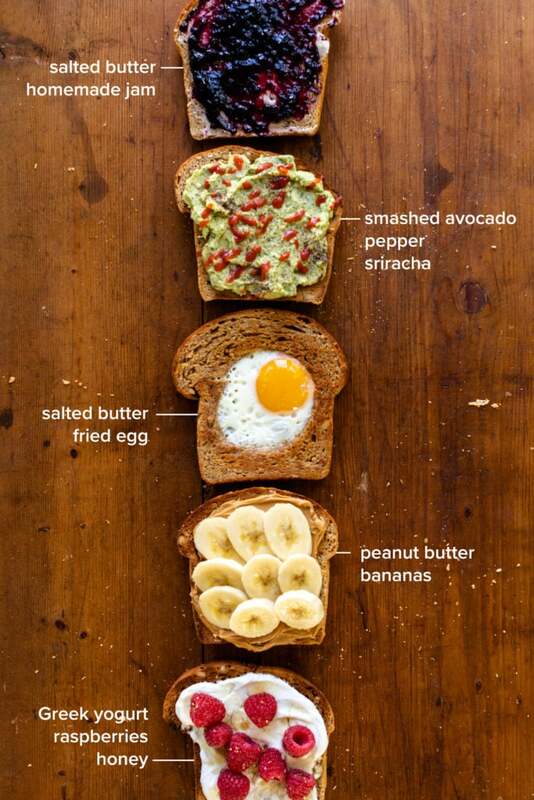 Spread with peanut butter and bananas. Didn’t everyone grow up eating toast this way?! Greek yogurt topped with raspberries and a drizzle of honey.